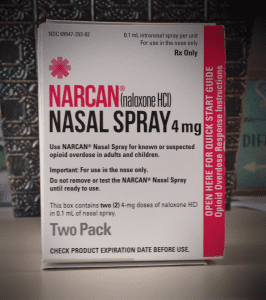 Hamilton County Public Health, through the NARCAN® Distribution Collaborative (NDC), is making NARCAN® (Naloxone) available to the public at NO CHARGE. We are also distributing NARCAN® in the Hamilton County Public Health Clinic to walk-ins and appointments on Mondays 1 p.m.-4 p.m. and Fridays 8 a.m.-12 p.m. The Hamilton County Public Health Clinic is located at 184 E. McMillan St. Cincinnati, OH 45219. For information on NARCAN® distribution, please contact NDC staff at 513-946-7676 or narcan@hamilton-co.org.